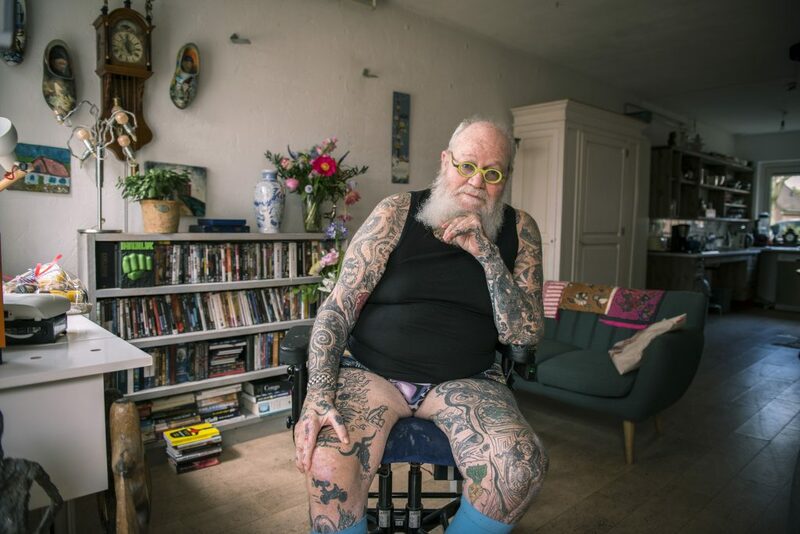 These senior citizens have shown its not just youngsters who should be rocking tattoos these days, stripping down to show their incredible ink. The eye-opening photography series saw 25 elderly people aged 65 and over reveal their markings, which ranged from sleeves of the tribal variety to those tied to delicate memories. GetOud’s missing is to bridge the gap between generations, creating a positive images of those in the retirement age. The idea came to founders Ingrid Meijering and Marion Duimel three years ago, when Ingrid saw an elderly tattooed person on a beach. 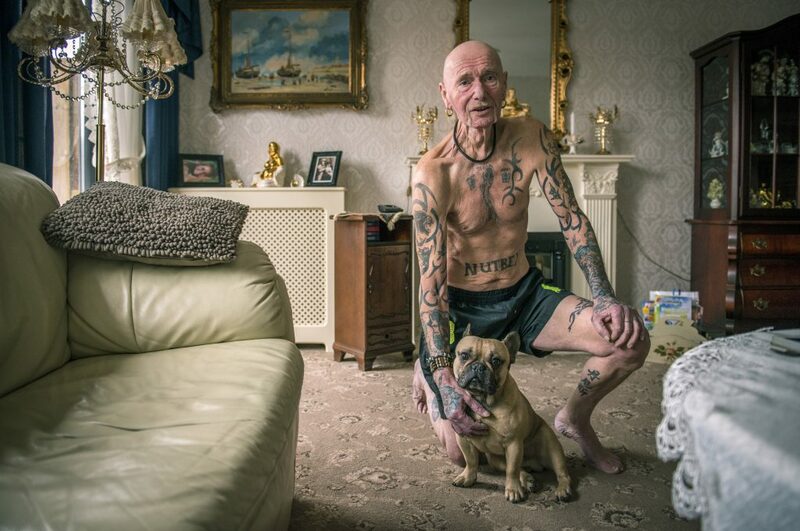 For the following three years – and with the help of a few interns for a couple of months – the pair tracked down and photographed tatted OAPs. In order to find subjects, Ingrid and Marion placed messages on Facebook groups and rang around tattooparlours. 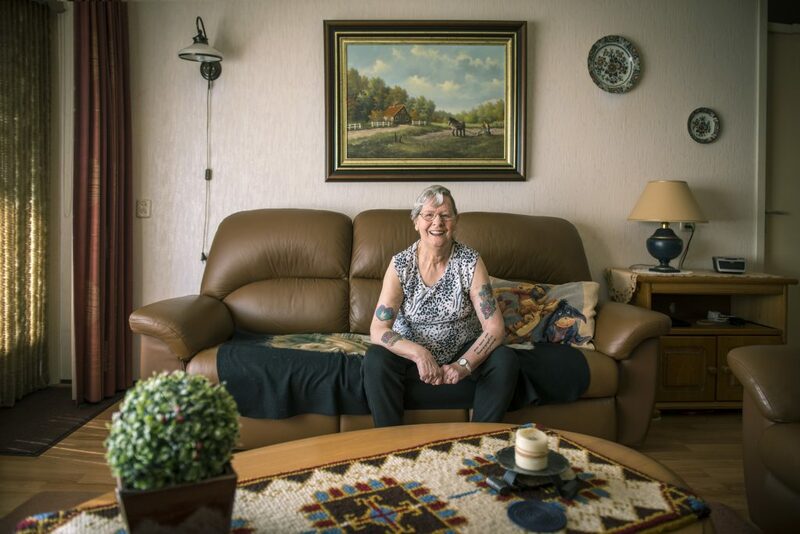 On their journey there were some incredible stories – including one person who did not get their first tattoountil they were 80. The individuals in the series were photographed at their homes, and though some are covered head to toe, others’ tattoos are barely visible. The works have also been turned into a book, which explains the reasons behind certain tattoos and aims to put to bed misconceptions about tattoos and the elderly. There will also be an exhibition travelling through the Netherlands over the coming months. Marion, based in The Hague, Netherlands, said: “We had so much fun during the making of the project. “The elderly are all so nice and friendly, almost the more tattoos, the sweeter.